Seven strategies for helping readers become skilled comprehenders. Editor’s note: This piece by Kelly B. Cartwright is adapted from Executive Skills and Reading Comprehension: A Guide for Educators, now available from Guilford Press. Over the last few decades, the use of comprehension strategies to help students read has become increasingly popular. Unlike traditional reading skills that support word reading, such as phonemic awareness and vocabulary, comprehension strategies help students become active, self-regulated thinkers about the meanings of texts that they are reading. Skilled readers regularly employ various cognitive strategies to understand what they’re reading, and teaching this set of strategies results in significant improvements in comprehension for struggling students (Brown et al., 1996; Brown, 2008; Duffy et al., 1988; Pressley et al., 1989). You may be familiar with comprehension strategies, but you may not realize that these strategies are intimately tied to important higher-order thinking skills called executive skills: the skills we use to engage in self-regulated, goal-directed behavior in any area of life, from planning and executing a trip to the grocery store to reading and understanding a complex text. Executive skills like working memory, cognitive flexibility, inhibition, organization, and planning support students’ use and application of comprehension strategies (Gnaedinger, Hund, & Hesson-McInnis, 2016). 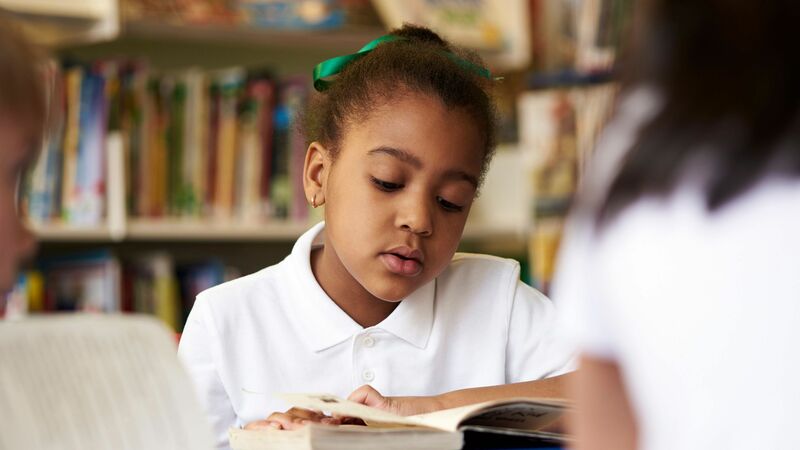 Here are seven effective comprehension strategies that help students become better readers and support their goal-directed plans to understand text. 1. Connecting to Prior Knowledge: A common strategy we teach our students is to make connections to their own prior knowledge because such connections facilitate reading comprehension (Anderson, 1984; Anderson & Pearson, 1984). In fact, struggling comprehenders benefit from explicit instruction in this strategy, resulting in significant increases in their reading comprehension (Hansen, 1981; Hansen & Pearson, 1983). 2. Self‑Questioning: Not only do skilled comprehenders draw on prior knowledge when approaching a new text, they also ask themselves questions about the text, which aids them in their search for meaning as they read (Pressley & Afflerbach, 1995; Brown, 2008; Pressley, 2002). Like making connections to prior knowledge, self-questioning is an essential component of planning to understand a text. 3. Predicting: Making predictions involves using one’s prior knowledge along with clues from a text to make hypotheses about text content (Brown, 2008; Pressley, 2002). Students can make predictions by asking questions about a text before reading it, and then trying to answer those questions. Predicting also continues to occur throughout the reading process as readers construct and update their understanding of the text. 4. Using Text Structure: While reading, skilled comprehenders use text structure (such as the beginning, middle, and end of a story) to help organize text information and meaning (Pressley & Afflerbach, 1995; Pressley & Gaskins, 2006; Pressley & Lundeberg, 2008). Additionally, teaching text structures improves students’ comprehension of narrative and expository texts (Williams, 2003, 2005). Readers who are able to recognize and extract information about text structure have significantly better reading comprehension than readers who aren’t able to. 5. Visualizing: We have long known that visualizing, otherwise known as mental imagery, is a tremendously effective strategy for helping readers remember information from texts (e.g., Levin, 1973; Pressley, 1976). And it is no surprise that skilled comprehenders also visualize text content to help themselves make sense of what they read (Pressley & Afflerbach, 1995). By encoding text information in multiple ways, readers’ memory and understanding of text is strengthened. 6. Making Inferences: Readers make inferences in at least two ways: They can make inferences that require integrating multiple bits of information from text, and they can make gap-filling inferences that require them to supply information from their own prior knowledge (Baker & Stein, 1981; Cain & Oakhill, 1999; Elbro & Buch-Iversen, 2013; Graesser et al., 1994). Inferences are often more difficult for younger and struggling readers, who make inferences about actions rather than inferences about characters’ internal responses (McConaughy, 1985; McConaughy et al., 1983). Fortunately, we can teach students to make inferences based on characters’ internal states, resulting in improvements in reading comprehension (Carnine et al., 1982; Lysaker et al., 2011; Stahl, 2014). 7. Summarizing: Finally, we also know that skilled comprehenders are able to produce good summaries of texts that they read (Brown, 2008; Pressley, 2002; Pressley & Afflerbach, 1995). Their ability to prioritize important information draws on their organizational skills as well as their ability to inhibit irrelevant details. While summarizing, students also hold multiple pieces of information in working memory, and cognitive flexibility can be necessary to switch back and forth between one’s more detailed representation of a text’s meaning and the summary under construction. Students should preview the text, making connections to their own prior knowledge about the topic, which requires flexible switching between text and knowledge. Students should ask themselves questions about what they might encounter in the text, and make predictions about what they expect to discover as they read, holding those predictions in working memory to revise as needed while reading. Students should preview the text’s structure (e.g., identifying a story’s beginning, middle, and end) to help them organize incoming information as they read. You can find sample templates on the Reading Rockets website. As they begin to read, students should draw on their prior knowledge to understand the ideas and words they encounter and to make gap-filling inferences when necessary. Students should flexibly juggle multiple kinds of information as they read, such as information about the overall plot, meanings of individual words and their links to prior knowledge, and information and inferences about characters’ thoughts and motivations. Students should draw on their inhibition processes while reading to suppress irrelevant information in the text, ignore distractions in the environment, and refrain from distracting habits such as looking at their phones. Students should manage all of these processes while they identify the most important features of the text and construct summaries of the text in working memory. Students should summarize relevant information and hold it in working memory while ignoring (or inhibiting) irrelevant information. Students should also have the cognitive flexibility necessary to switch back and forth between details and summaries. After students finish reading a text, they should continue to reflect on the text, connecting the new information they have learned to their existing knowledge structures and flexibly adapting those structures as needed to incorporate new information. Students should draw conclusions about the questions and predictions they had for the text, and they should evaluate how successful they were in understanding the text. Skilled reading comprehension is like an intricate piece of music in which readers masterfully weave together complex mental processes. Practicing these reading comprehension strategies with your students can help them develop into active, purposeful, thinking readers. Anderson, R. C. (1984). Role of the reader’s schema in comprehension, learning, and memory. In R. C. Anderson, J. Osborn, & R. J. Tierney (Eds. ), Learning to read in American schools: Basal readers and content texts (pp. 243–257). Hillsdale, NJ: Erlbaum. Anderson, R. C., & Pearson, P. D. (1984). A schema-theoretic view of basic processes in reading comprehension. In P. D. Pearson, R. Barr, M. L. Kamil, & P. Mosenthal (Eds. ), Handbook of reading research (pp. 255–291). New York: Longman. Baker, L., & Stein, N. (1981). The development of prose comprehension skills. In C. M. Santa & B. L. Hayes (Eds. ), Children’s prose comprehension: Research and practice (pp. 7–43). Newark, DE: International Reading Association. Brown, R. (2008). The road not yet taken: A transactional strategies approach to comprehension instruction. The Reading Teacher, 61, 538–547. Brown, R., Pressley, M., Van Meter, P., & Schuder, T. (1996). A quasi-experimental validation of transactional strategies instruction with low-achieving second-grade readers. Journal of Educational Psychology, 88(1), 18. Cain, K., & Oakhill, J. V. (1999). Inference making ability and its relation to comprehension failure. Reading and Writing, 11, 489–503. Carnine, D. W., Stevens, C., Clements, J., & Kame’enui, E. J. (1982). Effects of facilitative questions and practice on intermediate students’ understanding of character motives. Journal of Literacy Research, 14(2), 179–190. Duffy, G. G., Roehler, L. R., & Herrmann, B. A. (1988). Modeling mental processes helps poor readers become strategic readers. The Reading Teacher, 41, 762–767. Elbro, C., & Buch-Iversen, I. (2013). Activation of background knowledge for inference making: Effects on reading comprehension. Scientific Studies of Reading, 17(6), 435–452. Gnaedinger, E. K., Hund, A. M., &amp; Hesson‐McInnis, M. S. (2016). Reading‐specific flexibility moderates the relation between reading strategy use and reading comprehension during the elementary years. Mind, Brain, and Education, 10(4), 233-246. Graesser, A. C., Singer, M., & Trabasso, T. (1994). Constructing inferences during narrative text comprehension. Psychological Review, 101, 371–395. Hansen, J., & Pearson, P. D. (1983). An instructional study: Improving the inferential comprehension of good and poor fourth-grade readers. Journal of Educational Psychology, 75, 821–829. Levin, J. R. (1973). Inducing comprehension in poor readers: A test of a recent model. Journal of Educational Psychology, 65, 19–24. Lysaker, J. T., Tonge, C., Gauson, D., & Miller, A. (2011). Reading and social imagination: What relationally oriented reading instruction can do for children. Reading Psychology, 32, 520–566. McConaughy, S. H. (1985). Good and poor readers’ comprehension of story structure across different input and output modalities. Reading Research Quarterly, 22, 219–232. McConaughy, S. H., Fitzhenry-Coor, I., & Howell, D. C. (1983). Developmental differences in schemata for story comprehension. In K. E. Nelson (Ed. ), Children’s language (Vol. 4, pp. 385–421). Hillsdale, NJ: Erlbaum. Pressley, G. M. (1976). Mental imagery helps eight-year-olds remember what they read. Journal of Educational Psychology, 68, 355–359. Pressley, M. (2002). Metacognition and self-regulated comprehension. In A. E. Farstrup & S. J. Samuels (Eds. ), What research has to say about reading instruction (pp. 291–309). Newark, DE: International Reading Association. Pressley, M., & Gaskins, I. W. (2006). Metacognitively competent reading comprehension is constructively responsive reading: How can such reading be developed in students? Metacognition and Learning, 1(1), 99–113. Pressley, M., Johnson, C. J., Symons, S., McGoldrick, J. A., & Kurita, J. A. (1989). Strategies that improve children’s memory and comprehension of text. Elementary School Journal, 90, 3–32. Pressley, M., & Lundeberg, M. (2008). An invitation to study professionals reading professional-level texts: A window on exceptionally complex, flexible reading. In K. B. Cartwright (Ed. ), Literacy processes: Cognitive flexibility in learning and teaching (pp. 165–187). New York: Guilford Press. Stahl, K. A. D. (2014). Fostering inference generation with emergent and novice readers. The Reading Teacher, 67(5), 384–388. Williams, J. P. (2003). Teaching text structure to improve reading comprehension. In H. L. Swanson, K. R. Harris, & S. Graham (Eds. ), Handbook of learning disabilities (pp. 293– 305). New York: Guilford Press. Williams, J. P. (2005). Instruction in reading comprehension for primary-grade students: A focus on text structure. Journal of Special Education, 39, 6–18.